"The Beatification Ceremony in Rome"
He instructed her to tell the world of His Mercy. For several years she recorded in her diaries every word the Lord spoke to her. 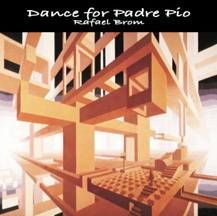 Excerpts are included in this moving video. of Divine Mercy. It was filmed in Rome, Krakow, Warsaw, Czestochowa and her birth place, Swinice. from Jesus, and finally, the place where she died. spoked to UGO FESTA, whose miraculous cure is featured in this video. instructing the artist how to paint the now famous image of Divine Mercy. the Miracles included in the Cause for the Beatification of Sister Faustina. Inspiration. was directed by award-winning English filmmaker, J. Paddy Nolan. NOT BE THEIR JUDGE, BUT THE MERCIFUL SAVIOUR." specifically requested by Jesus in His appearance to Sister Faustina in the 1930's. the "Our Father", "Hail Mary", and "I believe". the faithfull should make the Station of the Cross. prayers for each station beautifully presented, to help you follow devoutly the Way of the Cross. OCTOBER 5th to be the Blessed Faustina's Feast Day. TV cameras, and the throngs of pilgrims surging towards the piazza. where he had first met the POPE some time ago. traveled from Poland to see their own countrywoman Beatified by the first Polish Pope. On 30 April 2000, the Second Sunday of Easter, at 10:00 a.m., His Holiness Pope John Paul II celebrated the Eucharist in Saint Peter's Square and proceeded to the Canonization of Blessed MARIA FAUSTINA KOWALSKA, Virgin, of the Sisters of the Blessed Virgin Mary of Mercy. The new Saint invites us by the witness of her life to keep our faith and hope fixed on God, the Father rich in mercy, who saved us by the Precious Blood of his Son, risen from the dead and living for ever. She was born on August 25, 1905 in Gþogowiec in Poland of a poor and religious family of peasants, the third of ten children. She was baptized with the name Helena in the parish Church of æwinice Warckie. From a very tender age she stood out because of her love of prayer, work, obedience, and also her sensitivity to the poor. At the age of nine she made her first Holy Communion living this moment very profoundly in her awareness of the presence of the Divine Guest within her soul. She attended school for three years. At the age of sixteen she left home and went to work as a housekeeper in order to find the means of supporting herself and of helping her parents. At the age of seven she had already felt the first stirrings of a religious vocation. After finishing school, she wanted to enter the convent but her parents would not give her permission. Called during a vision of the Suffering Christ, on August 1, 1925 she entered the Congregation of the Sisters of Our Lady of Mercy and took the name Sister Mary Faustina. She lived in the Congregation for thirteen years and lived in several religious houses. She spent time at Krak‹w, Pþock and Vilnius, where she worked as a cook, gardener and porter. The years she had spent at the convent were filled with extraordinary gifts, such as: revelations, visions, hidden stigmata, participation in the Passion of the Lord, the gift of bilocation, the reading of human souls, the gift of prophecy, or the rare gift of mystical engagement and marriage. The living relationship with God, the Blessed Mother, the Angels, the Saints, the souls in Purgatory Ü with the entire supernatural world Ü was as equally real for her as was the world she perceived with her senses. In spite of being so richly endowed with extraordinary graces, Sr. Mary Faustina knew that they do not in fact constitute sanctity. In her Diary she wrote: Neither graces, nor revelations, nor raptures, nor gifts granted to a soul make it perfect, but rather the intimate union of the soul with God. These gifts are merely ornaments of the soul, but constitute neither its essence nor its perfection. My sanctity and perfection consist in the close union of my will with the will of God (Diary 1107). The Lord Jesus chose Sr. Mary Faustina as the Apostle and "Secretary" of His Mercy, so that she could tell the world about His great message. In the Old Covenant Ü He said to her ÜI sent prophets wielding thunderbolts to My people. Today I am sending you with My mercy to the people of the whole world. I do not want to punish aching mankind, but I desire to heal it, pressing it to My Merciful Heart (Diary 1588). ¬ reminding the world of the truth of our faith revealed in the Holy Scripture about the merciful love of God toward every human being. ¬ Entreating God's mercy for the whole world and particularly for sinners, among others through the practice of new forms of devotion to the Divine Mercy presented by the Lord Jesus, such as: the veneration of the image of the Divine Mercy with the inscription: Jesus, I Trust in You, the feast of the Divine Mercy celebrated on the first Sunday after Easter, chaplet to the Divine Mercy and prayer at the Hour of Mercy (3 p.m.). The Lord Jesus attached great promises to the above forms of devotion, provided one entrusted one's life to God and practiced active love of one's neighbor. 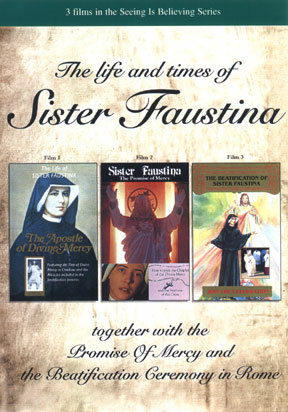 ¬ The third task in Sr. Mary Faustina's mission consists in initiating the apostolic movement of the Divine Mercy which undertakes the task of proclaiming and entreating God's mercy for the world and strives for Christian perfection, following the precepts laid down by the Blessed Sr. Mary Faustina. The precepts in question require the faithful to display an attitude of child-like trust in God which expresses itself in fulfilling His will, as well as in the attitude of mercy toward one's neighbors. Today, this movement within the Church involves millions of people throughout the world; it comprises religious congregations, lay institutes, religious, brotherhoods, associations, various communities of apostles of the Divine Mercy, as well as individual people who take up the tasks which the Lord Jesus communicated to them through Sr. Mary Faustina. The mission of the Blessed Sr. Mary Faustina was recorded in her Diary which she kept at the specific request of the Lord Jesus and her confessors. In it, she recorded faithfully all of the Lord Jesus' wishes and also described the encounters between her soul and Him. Secretary of My most profound mystery Ü the Lord Jesus said toSr. Faustina Ü know that your task is to write down everything that I make known to you about My mercy, for the benefit of those who by reading these things will be comforted in their souls and will have the courage to approach Me (Diary 1693). In an extraordinary way, Sr. Mary Faustina's work sheds light on the mystery of the Divine Mercy. It delights not only the simple and uneducated people, but also scholars who look upon it as an additional source of theo-logical research. The Diary has been translated into many languages, among others, English, German, Italian, Spanish, French, Portuguese, Arabic, Russian, Hungarian, Czech and Slovak. Sister Mary Faustina, consumed by tuberculosis and by innumerable sufferings which she accepted as a voluntary sacrifice for sinners, died in Krakow at the age of just thirty three on October 5, 1938 with a reputation for spiritual maturity and a mystical union with God. The reputation of the holiness of her life grew as did the cult to the Divine Mercy and the graces she obtained from God through her intercession. In the years 1965-67, the investigative Process into her life and heroic virtues was undertaken in Krakow and in the year 1968, the Beatification Process was initiated in Rome. The latter came to an end in December 1992. On April 18, 1993 our Holy Father John Paul II raised Sister Faustina to the glory of the altars. Sr. Mary Faustina's remains rest at the Sanctuary of the Divine Mercy in Krakow.